Rochelle, left, and Ryan Reed with their children Mackenzie Steiner 11, Sam Bartel 22, and Kaiden Gomes at their home on South Arlington Street on Friday, March 29, 2019 in Akron, Ohio. Jackie Easley is upset about the loss of young black men to gun violence and expressed her concerns in a recent Akron City Council meeting Thursday, April 4, 2019 in Akron, Ohio. "I'm a citizen here in Akron and I've never been scared living in Akron and I find myself now walking around kinda' scared with all the crime and shootings and everything," Easley told City Council. "I sit here looking at this row of beautiful, young innocent women. They're going to grow up and they're not going to have mates," said Easley, urging city leaders to talk about how many of Akron's young, black men are dying. Crime — from homicides and robberies to stolen bikes and car break-ins — is impacting how Akron residents view their city and their place in it. When the Beacon Journal/Ohio.com recently asked readers on social media to share their experiences, residents on all sides of the city responded. Some said they feared gunfire was creeping closer to their homes. Others complained of petty, non-violent crime they didn’t bother reporting to police, assuming officers were too busy to help, or worse, just didn't care. 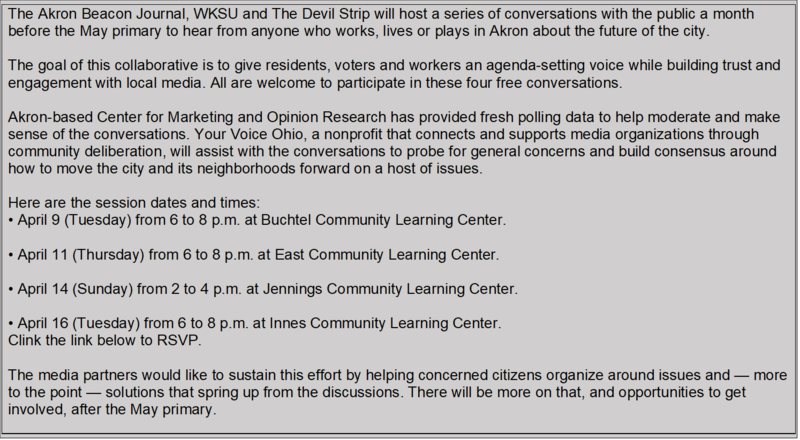 A Beacon Journal analysis of data from the Akron Police Department shows some of their concerns are legitimate. Homicides in the city jumped from 28 in 2015 to 42 in 2017 before settling in 2018 at 37. Arson investigations, which now top 100 annually, and sexual assaults, which topped 400 in 2017, climbed 21 percent each from 2015 to 2018. And last year, 902 vehicles were reported stolen in the Rubber City — 200 more than in 2015. Yet reports of non-violent crimes like thefts and burglaries — which make up about 70 percent of all crimes in Akron every year — fell 18 percent. The significant drop was enough to drive the city’s overall crime rate down. That doesn't matter much to Akron residents who have experienced crime themselves. Patti Duplaga talks about her car being struck by two bullets during a daytime trip to see a physical therapist on Thursday, March 28, 2019 in Akron, Ohio. Patti Duplaga was driving through Northwest Akron on her way to a physical therapy appointment on a Tuesday afternoon in February when an SUV stopped in front of her on Thurmont Road. Puffs of dust exploded off pavement and she heard the pop, pop, pop of gunfire. Duplaga, 70, remembered when the two-story apartments outside her SUV windows were considered chichi. They lost their cachet years ago and developed a reputation for being a dodgy spot in one of Akron’s safest neighborhoods. Duplaga often drove by the apartments two or three times a day, traveling between her home in Akron’s Wallhaven neighborhood to shopping around Summit Mall, or to her son’s home in Bath or to her church, where she plays in the bell choir. Now, caught in the crossfire of someone’s gun battle, Duplaga hit the gas and sped away. She escaped injury, but one bullet from the crossfire shattered a wheel cover on Duplaga’s Toyota RAV4. Another pierced the tailgate. Police said they found a bullet inside the SUV near the back seat where Duplaga’s dog, Roxie, often rides. Duplaga, a retired high school French teacher and librarian, said it was the closest she ever came to death. But that brush with danger hasn't made her think of leaving Akron. "I love it here," she said recently at her Wallhaven home, a charming Craftsman a couple of blocks from Whole Foods and Hardesty Park. Duplaga hasn't passed by the Thurmont Road apartments since the shooting and says she likely never will. Gun-related crimes in Akron, however, rose from 354 in 2015 to 444 last year. That increase may be due in part to a change in how police handle data. During the past two years, police made sure any criminal damaging reports involving bullets — holes in houses or cars, for example — are included in gun-related crime numbers. And the gunfire hasn't stopped. A couple weeks after Duplaga was caught in gunfire in Northwest Akron, Ola Johnson, 79, found herself in the same situation across town in Summit Lake. It happened on a Monday in March about 2:40 p.m. when she was driving yards away from her tidy home, its front door and wreath covered by a metal security door. Johnson said she remembers seeing a school bus filled with kids at West Crosier and Princeton streets. Then, she said the back window of her 2005 Hyundai Elantra seemed to explode. She thought someone threw a brick until she glanced in her rear-view mirror and saw someone firing a gun through an open window of another vehicle. She didn’t realize she had been shot until she glanced in the rear-view mirror again and saw blood running down her face. Police reported picking up 17 shell casings from a rifle at the scene. The bullet that hit Johnson remains lodged in the flesh between her head and her skull, she said. She wants the bullet removed, but doctors told her it's safer to leave it where it is. Akron police said Wednesday the cross-fire shootings involving Johnson in Summit Lake and Duplaga in Northwest Akron remain under investigation. Detectives do not think they are related. They are just part of the gunfire and violence that now touches every Akron neighborhood. The Reed family moved from Massillon two years ago into a rental house across from the defunct Dirty Marks Electric Pub, whose sign on South Arlington Street still advertises “show girls, cold beer & pop." “We’ve had our garage broken into, rocks thrown at the house knocking fans out of our windows…and people drunk and doing drugs passed out on stoops,” Ryan Reed said recently. Worse, he said, people in the neighborhood have threatened a man with developmental disabilities who lives with the family. The Reeds have called police. Sometimes officers take a report, he said, sometimes not. “They say if you don’t have it on video — with audio — making threats, there’s not a case,” Reed said. “I don’t know about you, but if I’m getting attacked, I’m not thinking about pulling out my phone and taping. Reed grew up in East Canton and said police there quickly responded when called and seemed determined to fix the problems. In Akron, he said, he fears officers don't have time. Reed said he sometimes listens to Akron police scanner traffic — which captures much of the communication between dispatchers — and hears how police are juggling crimes and citizen complaints. “I wonder if they have enough officers,” he said. Akron, a city of less than 200,000 people, ended 2018 with 441 officers, including its police chief. With just under 200,000 people in Akron, that works out to about 20 officers per 10,000 residents. That’s more than many cities its size, according to “Governing” magazine, which covers state and local governments in the United States. The magazine reviewed 2016 FBI data and found that 171 American cities with populations of 100,000 to 200,000 residents had a median ratio of 14.3 officers per 10,000 residents. Adding a few more police officers does not necessarily equate to less crime, he said, but deploying existing officers and resources appropriately and tactically can improve the safety. Kristin Gregory looks out her front window at her front porch where her children's bikes were stolen twice within the first two years of living at her home in the North Hill neighborhood on Sunday, March 31, 2019 in Akron, Ohio. Kristen Gregory broke the bad news to her kids, ages 5 and 8, after the second time someone stole their bicycles. "No more bikes," she recalled telling them. "Not unless we move." She also forbid her children from playing outside unless she is with them. “It’s not worth it,” said Gregory, a U.S. Army veteran who now works in customer service for a local cable television company. Gregory and her children have lived in their federally subsidized rental home since 2015. She didn’t call police when the bikes disappeared — once overnight and a second time when she took a 15-minute walk — because she didn’t think they’d do anything about it. “It would be a waste of time,” she said. Over the years, her cars have been broken into. She’s watched her neighbors' homes get broken into and witnessed people overdose on the street. Overdose deaths in Akron peaked at 185 in 2016 then fell to 62 last year. “I have had someone attempt to walk in my front door at dusk. Another night, I had a female on the porch claiming her boyfriend was beating her and begging me to come outside so she could use my phone,” she said. Gregory didn't budge. She stayed inside and then watched a man come onto the porch and walk away with the woman seeking help. “I think they were planning some sort of home invasion,” Gregory said. Meanwhile, Gregory said she’s watched police break up trouble again and again at the same suspected drug house that’s the source of many neighborhood problems. “I think the causes of this phenomenon are multi-fold, but one important factor is the systemic perception among certain communities, particularly low-income communities and communities of color, that the police do not exist to protect and serve them,” Horrigan said. Rebuilding trust is an ongoing effort, Horrigan said, but will take time. 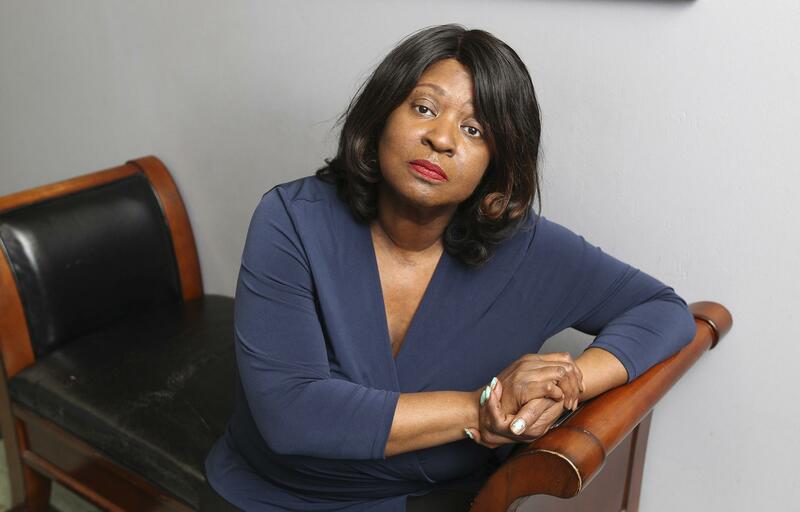 Jacqueline Easley sees the pain from the relentless crime. In the 13 months ending in March, Akron saw only 10 days with no gunfire reported to police. "A lot of people walking around Akron are hurting," she told City Council. Easley has gone to the funerals of some of the young men gunned down. She's seen their lifeless bodies, heard the sobs of their mothers and their families. She knows many of those killed were involved in the street drug trade, but she challenges the public to consider what options they had. Big factories left Akron and the schools haven't provided the education or the self-confidence for young men to pursue what opportunities comes next, she said. Even the expected influx of Amazon shipping jobs coming to the Sherbondy Hill neighborhood don't hold much promise, she said. Most are expected to pay about $15 an hour. "Is that enough to make a man feel like a man? To take care of a family, to not only feed them, but to pay for the little things?" Easley asked. One option, she said, is for Akron's young black and Hispanic men to apply for openings in the city's police and fire departments. It will help them and their community. The city has been trying to boost the number of minority and female applicants to have safety forces that look like the people in the neighborhoods they serve. Easley said she's been lucky. No one in her immediate family has been shot. But they all feel the residual pain. A friend who works as an Akron school crossing guard makes a point to ask kids how they are doing as he helps them cross the street. On April 1, the day after two men were fatally shot in Akron, one of the girls told the crossing guard she wasn't doing well because her cousin was shot and killed the night before. "Now that little girl is going to school with that in her heart," Easley said. "How is she going to have a productive day? That, all of this crime, just breaks my heart." Amanda Garrett can be reached at 330-996-3725 or agarrett@thebeaconjournal.com. Doug Livingston can be reached at 330-996-3792 or dlivingston@thebeaconjournal.com.